The amount of visible objects for that user. Users that are blocked will have a red circle next to their icons and a Blocked status will be displayed, as shown in the image below. A toggle bar for API key access. If enabled, the user will be able to generate API keys, as described in Account settings. If no vehicle group is assigned to the user, all vehicles will be visible for that user. 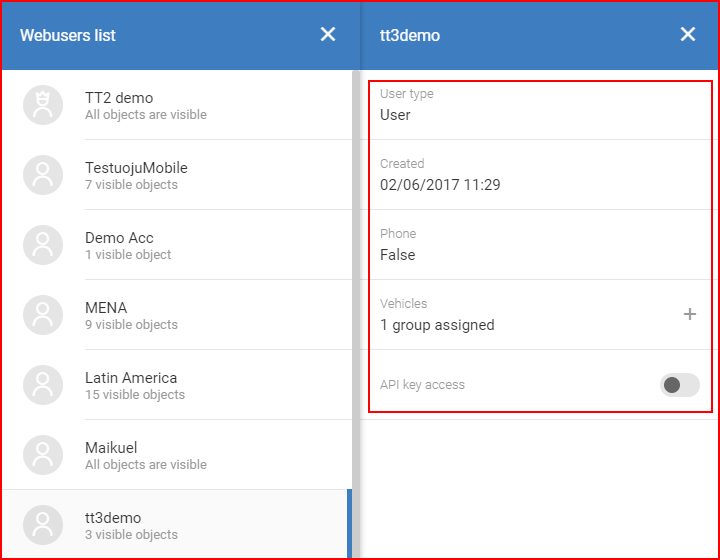 A user with administrative rights can assign or unassign vehicle groups to existing user, to do this, the user must click the + symbol in the vehicle groups row. This will open a new window with a list of all vehicle groups created for this account. 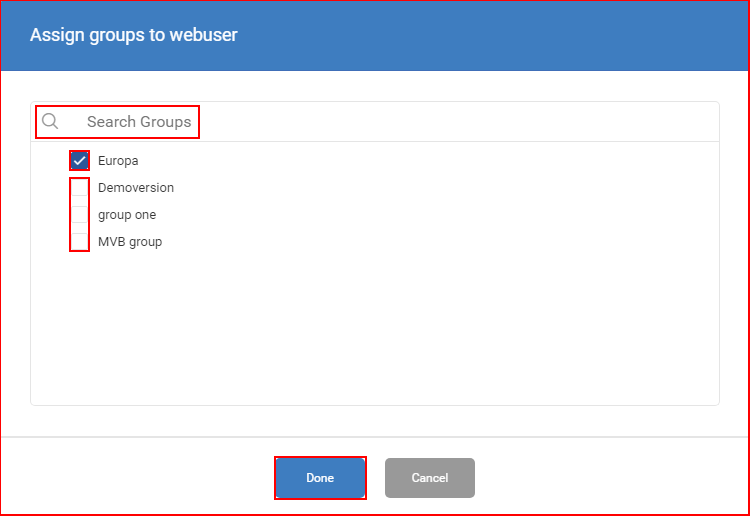 To quickly search through groups, a search bar is implemented, which will filter the list with every inputted letter. If a group was already assigned to the user, it will be highlighted with a blue tick. To assign more vehicle groups, the user must simply put ticks near groups which he wants to assign to the user. To unassign a group, the user must simply remove the tick. After any changes, the Done button must be clicked to save the changes. If the user doesn’t want to save the change, he must either click the Cancel button, or simply click anywhere outside the assignation window. Vehicle group creation is described in the Overview menu. 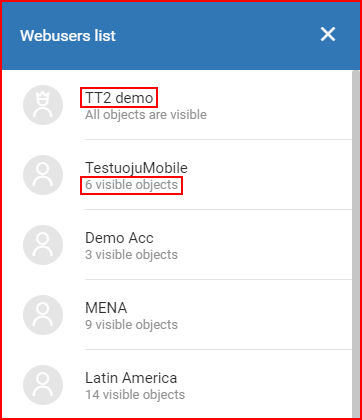 Webusers are currently managed by the service provider. To create and/or modify new/old web users, please contact the tech support of your provider.